The Wholesale Hero app now has the ability that lets you offer Net 15/30 payment terms for your loyal customers. Net 15/30 is a payment term that allows your customers to pay in full for the net invoice within 15 or 30 days from receipt. To learn more about this feature, click here. Note: This article assumes that you have already completely and successfully set up the Wholesale app. Step1. In your Wholesale Hero app, click Settings. Step2. Scroll down to the Net 15/30 Orders section. Step3. Check the Net 15/30 Orders Enabled check box. 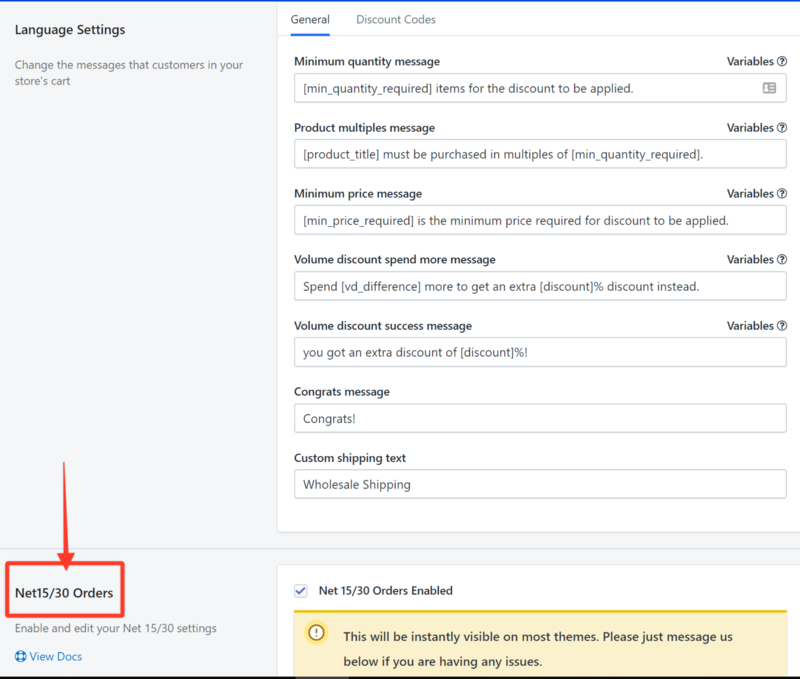 All messages such as the Net Orders message, Net Orders Checkout Button message, Confirmation message, Thank you message, and other settings that customers will see can be modified in this area. 3. Let us know if you would like this feature enabled. Net 15/30 orders can sometimes require extra customizations to be carried out by our development team. 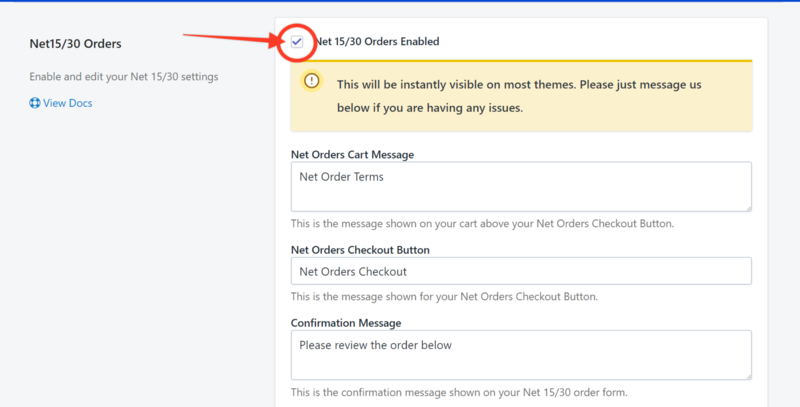 If you are using a Wholesale Hero enabled theme and cannot see the net orders button working. Simply email help@boosterapps.net with your Shopify domain and we'll get this set up for you as soon as possible.